My business is 20 years old! Read all about it! I started my business selling miniature needlepoint kits for doll’s houses 20 years ago this year – and the time has really flown! 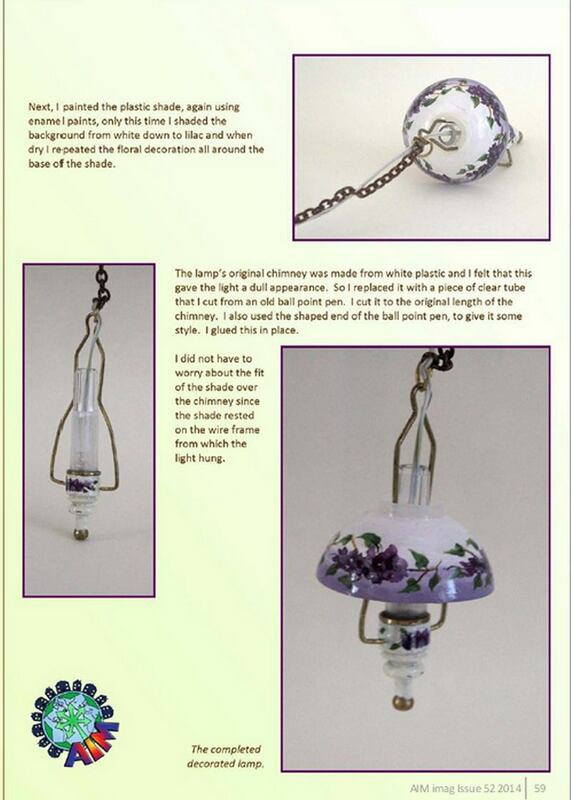 This week, Artisans in Miniature free online e-magazine has an article about my business over the years, and features some ‘blasts from the past’ about the milestones along the way. Read the article in this month’s issue on page 8 to see how the doll’s house hobby has changed in the past few years…and also how I’ve changed! For instance, this image below accompanied my first ever article in Doll’s House World magazine, in 1996. The magazine (which is FREE!) 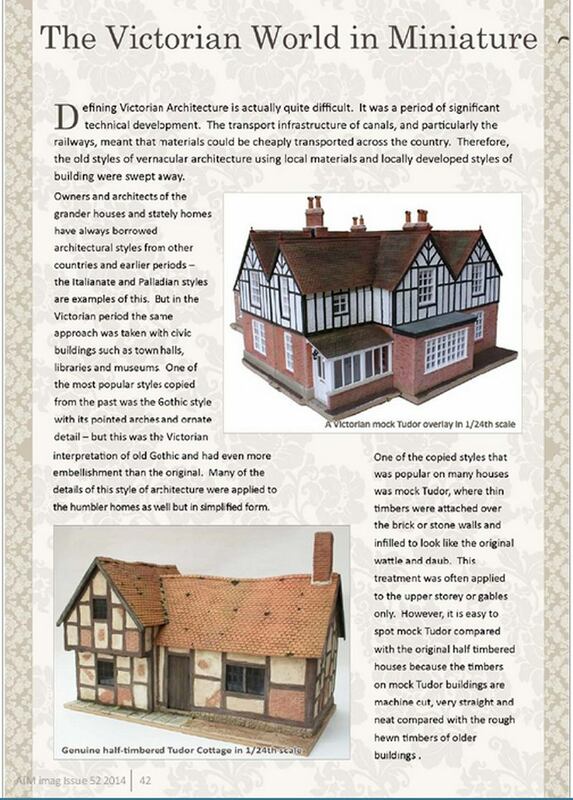 also has many interesting how-to articles, eye candy and adverts from the very best professional miniaturists in the hobby at the moment. The magazine is published every couple of months – the whole back catalogue of issues can be found on their website, too, and is well worth looking through. Author Janet GrangerPosted on March 17, 2016 March 16, 2016 Categories Artisans in MiniatureTags Doll's house, Dollhouse, Embroidery, Janet Granger, Needlepoint5 Comments on My business is 20 years old! Read all about it! 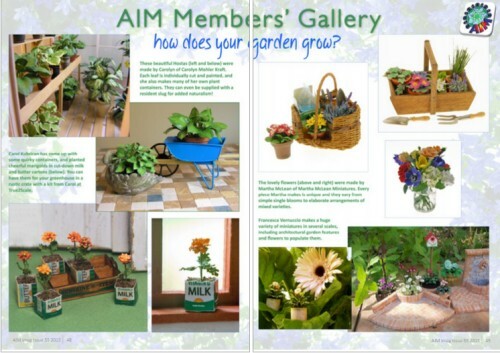 The new issue of Artisans in Miniature free imag is out! 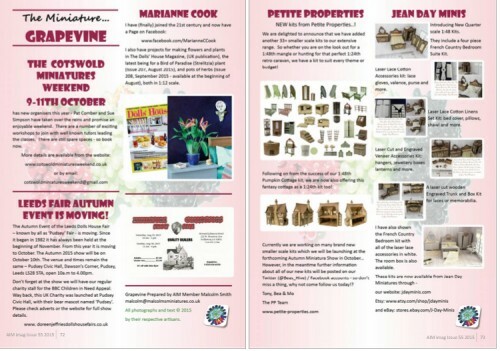 There’s a new issue of the Artisans in Miniature FREE online magazine this month – have you seen it yet? It’s got 76 pages of news about miniatures, wonderful articles about doll’s house scale minis in several scales, and inspirational pictures to make you drool! It’s always a good read, and even better, it’s FREE!! 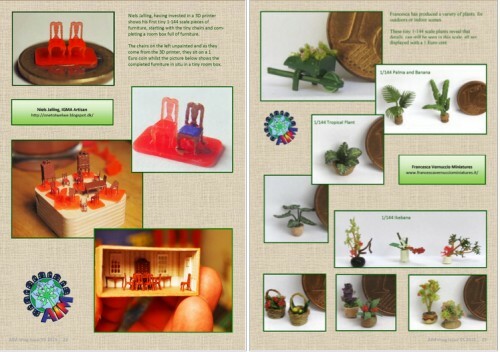 Why not go and have a look at the Artisans in Miniature website to read the latest issue now? 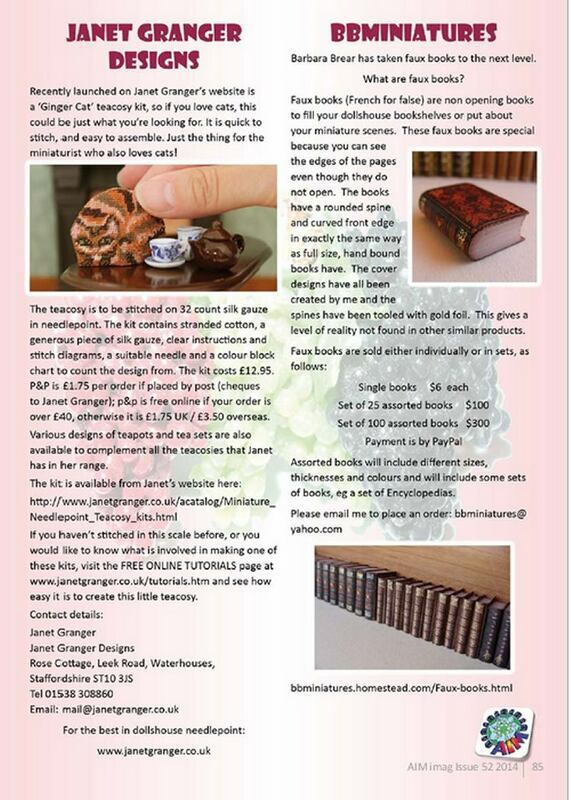 Author Janet GrangerPosted on August 20, 2015 August 12, 2015 Categories Artisans in MiniatureTags Artisans in Miniature, Doll's house, Dollhouse, Miniature magazine2 Comments on The new issue of Artisans in Miniature free imag is out! 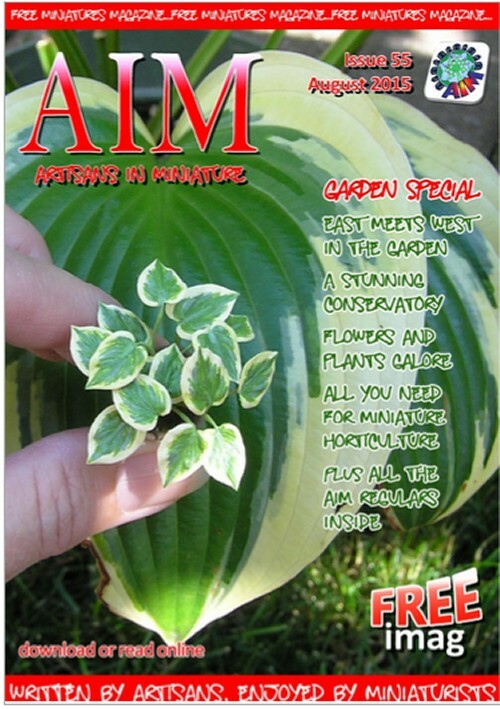 AIM miniature free online magazine has a new edition out! 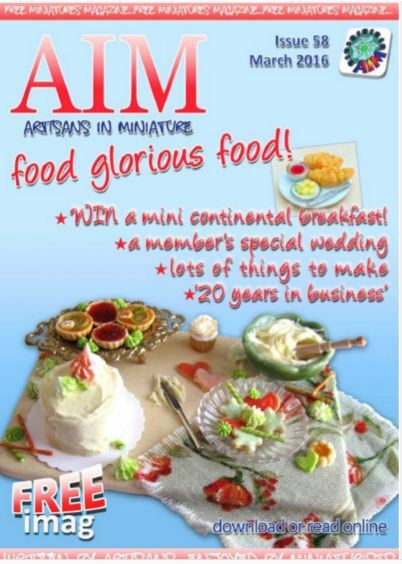 The latest edition of the free online magazine ‘Artisans in Miniature’ has just come out! If you haven’t seen this publication before, it’s well worth a look. 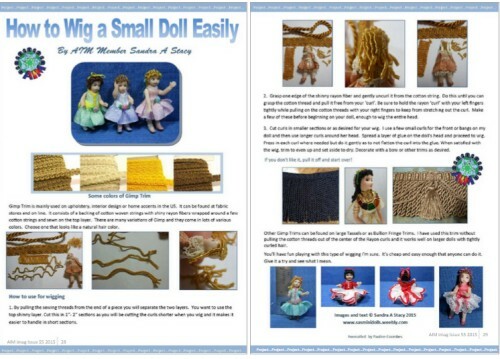 It has really interesting articles, written by professional miniaturists, on all aspects of the doll’s house hobby. There’s even a mention towards the back of the magazine about the Ginger Cat teacosy kit I have recently brought out…. 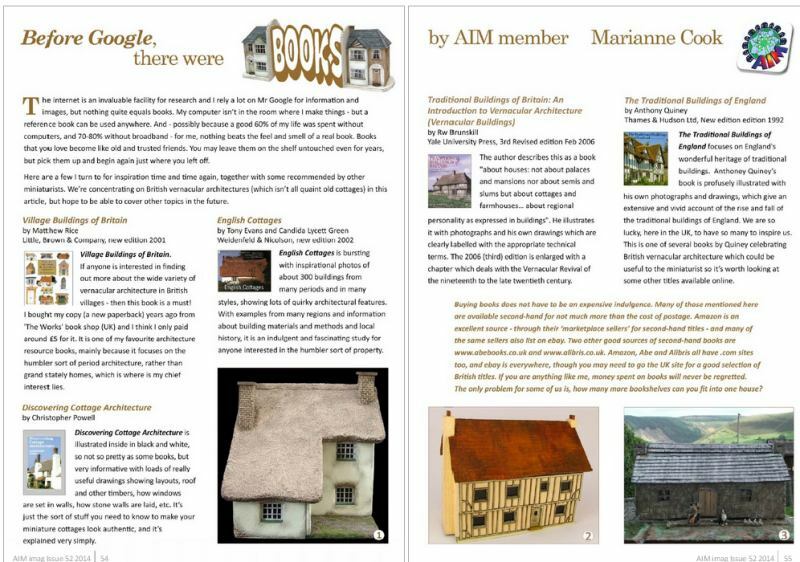 Author Janet GrangerPosted on October 9, 2014 October 7, 2014 Categories Artisans in MiniatureTags AIM, Artisans in Miniature, Doll's house, DollhouseLeave a comment on AIM miniature free online magazine has a new edition out! Would you like some free mini Christmas projects to make? 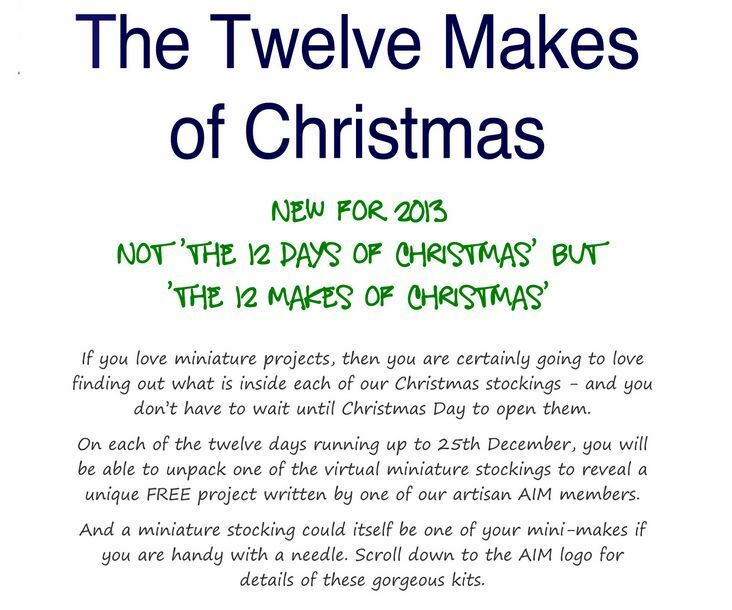 On the Artisans in Miniature site in the run-up to Christmas there is a special feature called the ’12 Makes of Christmas’, which is well worth visiting. Each day, you can click on an image and go to a page that has a free project – so you could have twelve gorgeous things to make, that don’t cost you a thing! 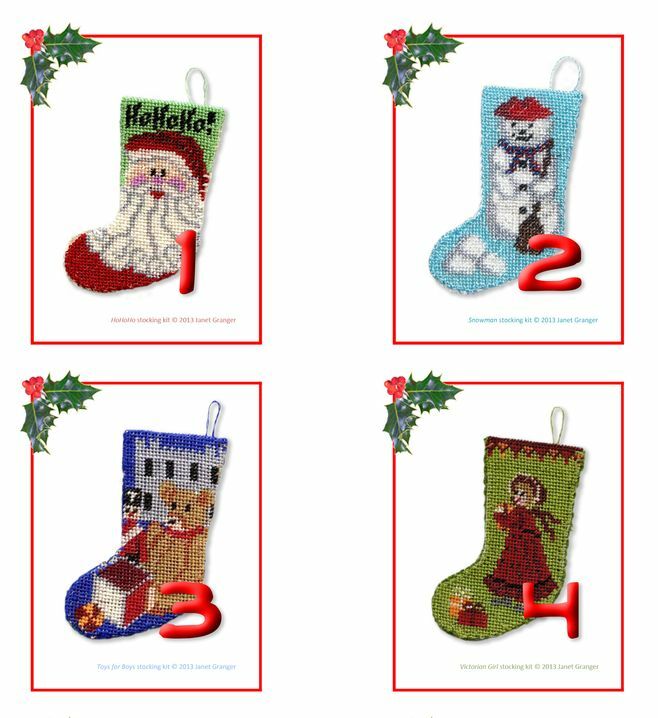 Although I haven’t got any designs featured in the projects that are being offered this year, pictures of my Christmas stocking kits feature as the ‘doors’ to each of the 12 days, so click here to have a look, and start collecting your free projects! If you fancy making your own doll’s house scale Christmas stockings from one of my kits, they are to be stitched on 40 count silk gauze with Rayon thread, and measure 1.4 inches high when complete. Everything you need is included in the kit, and they cost £9.50 each. Author Janet GrangerPosted on December 14, 2013 December 13, 2013 Categories Artisans in Miniature, Christmas stockingsTags Christmas, Crafts, Cross stitch, Doll's house, Doll's house embroidery, Embroidery, Hand embroidery, Needlepoint1 Comment on Would you like some free mini Christmas projects to make?